The above "Spa Package" offer may be used for American Girl, Midge, Swirls and other Barbie and friends, please inquire/email. This offer does not include green ear treatment or reroots. I work with existing hair. 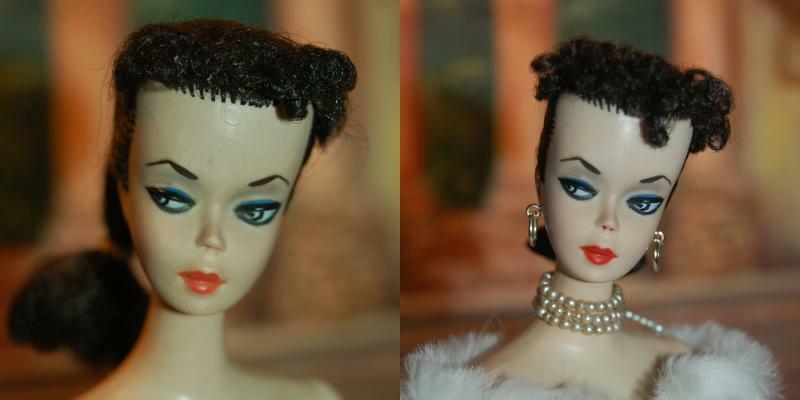 Nor, does it include previous repaint removal, stain removal, neck split repair, eye color changes, #1 or #2 repaints (please inquire) or one of a kind requests. Please allow for extra charges if any other requests are made. 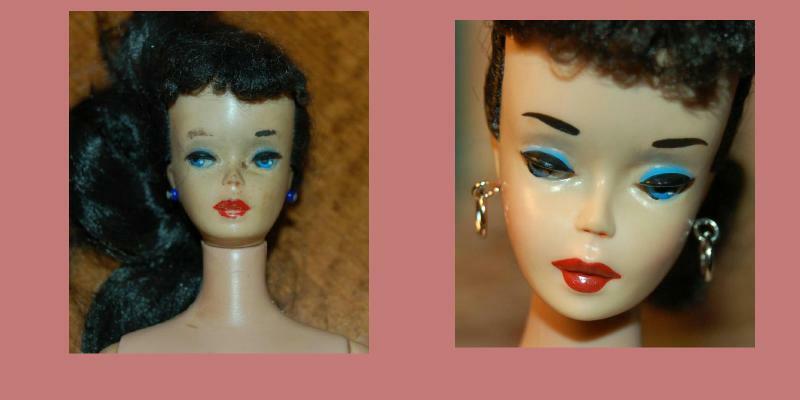 If you would like minimal restoration services please email me at Heartwhispers58@aol.com with your dolls needs and I will send you an estimate. 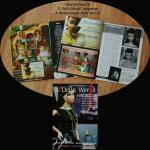 Personal checks and money orders are welcome. Or, I can send you an invoice from Pay Pal. 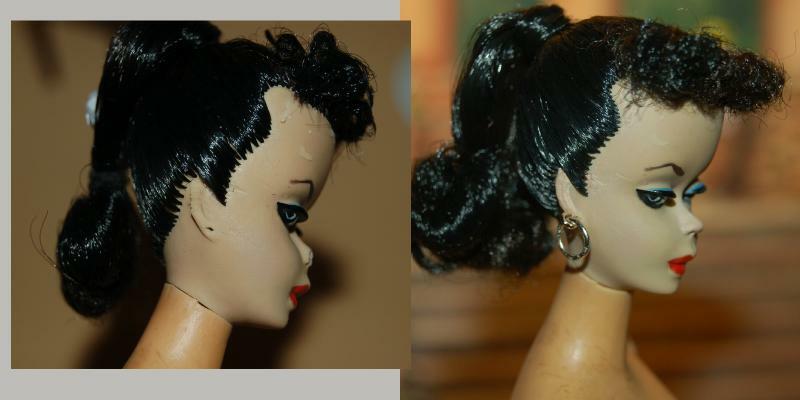 I do not do volume restorations or repaints, limit 4 dolls per client order. Turn around time is normally less than a week. I will not leave you to worry about where your doll is. I will email you when she arrives and email you with tracking when I ship her back. 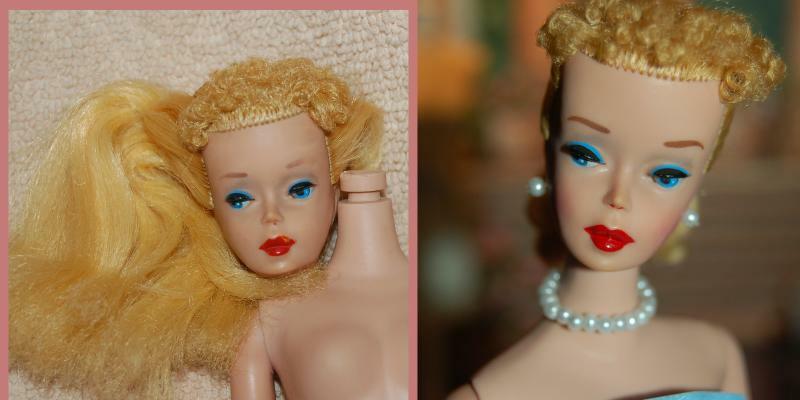 Please send the entire doll, not just the head. 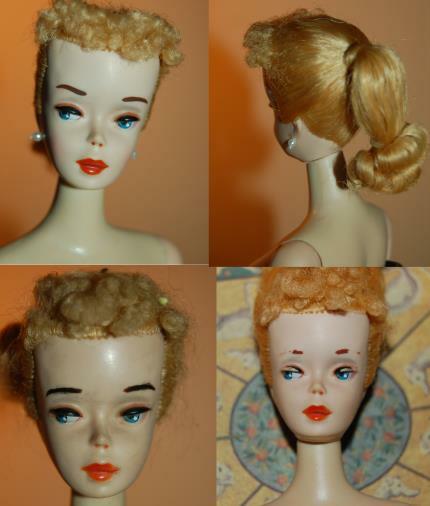 Please include with your doll, your name and return address and email. I recommend USPS Priority/INSURED with Delivery Confirmation, unless valued over $1500.00 USPS EXPRESS Mail. 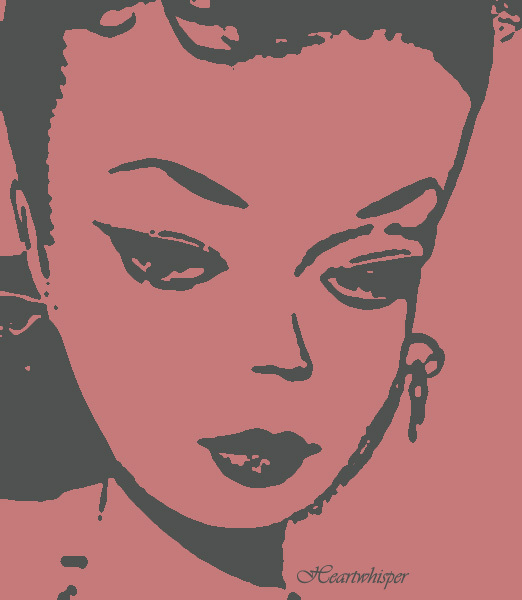 I am happy to work with International clients but please be aware: International Buyers Payment is Paypal. 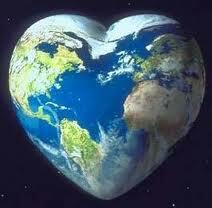 I ship USPS Priority International with insurance. Import duties, taxes and charges are not included in the item price or shipping charges. These charges are the buyer's responsibility. Please check with your country's customs office to determine what these additional costs will be prior to buying. 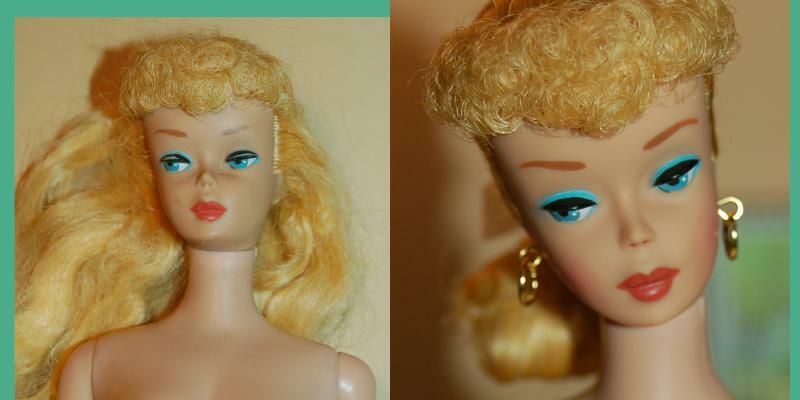 This Offer is for One Vintage Barbie Ponytail Makeover. 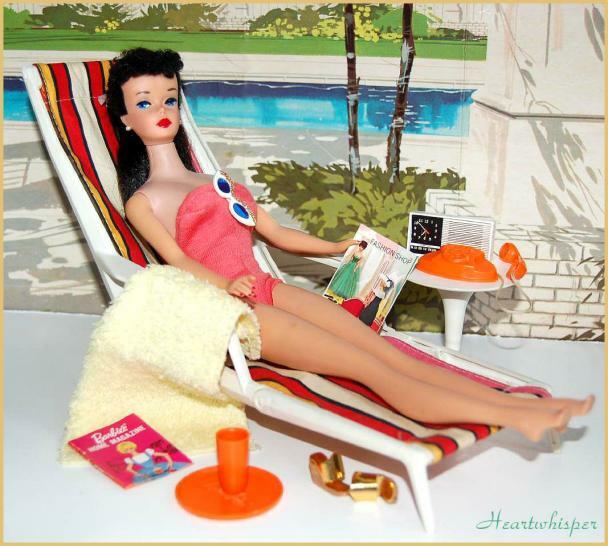 A Day for your Vintage Ponytail at Heartwhisper's Barbie Retreat. This will be a prize to have. I love how she turned out. 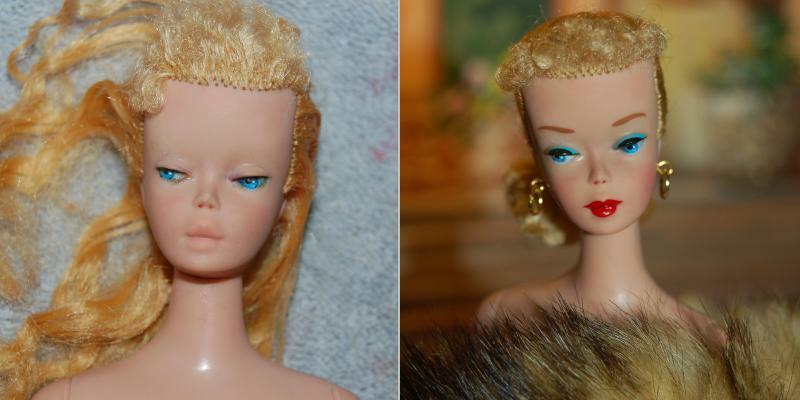 When she arrived from the person I bought her from she was "ok", but I wanted her to be rid of that home-attept at her sad looking makeup. Now she looks regal. 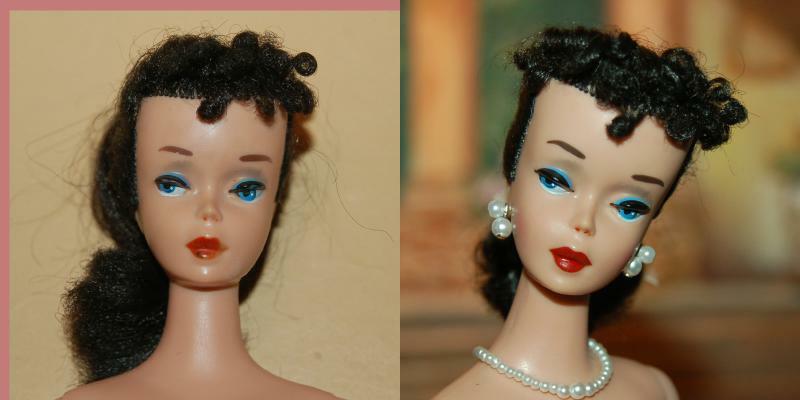 The hair looks so much better from the picture shown. This is a Solo-in-the-Spotlight kind of girl now. 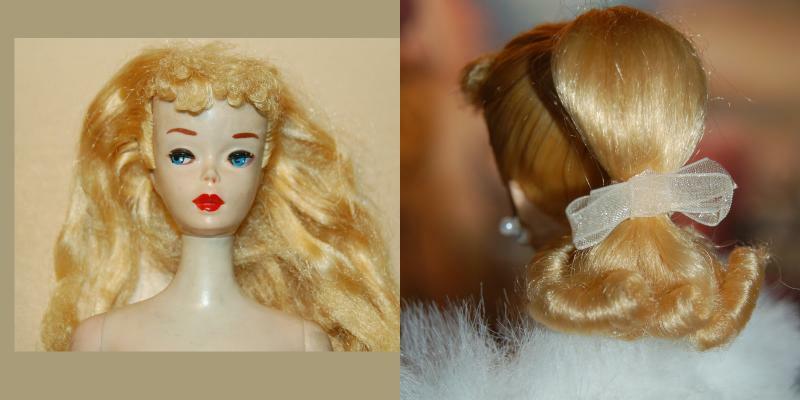 That's how she'll be used, both for Solo & Enchanted Evening. She deserves only the best for this pretty, pretty girl. 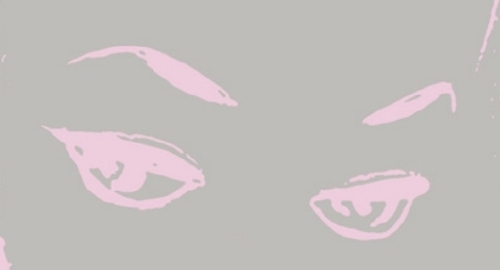 Your talent is sheer artistry. What you do is of the greatest service and you deserve only high praise & many, many accolades. I'm thrilled. I could not be happier. 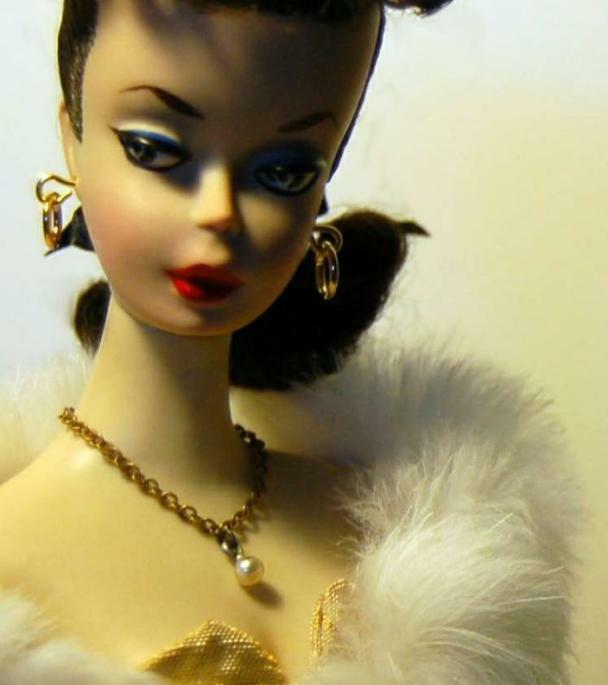 Thank you for my immaculate doll and for your great artistry. It's so nice to see that care in one's work still means something. I am so grateful, lucky, and happy to have as many of them as I do---I am truly blessed and I know it! These dolls mean the world to me and I really feel very fortunate to have gotten as many of them as I have! I can look at them and savor the beauties that you have so lovingly and beautifully restored! You really give them a new life, you know, and that is so wonderful. --can one ever have enough #4's or #5's---I don't think so! Take good care and have a terrific week, and a million thanks for all the beauties you have blessed me with, and the outfits too---TOTALLY AWESOME, like you! 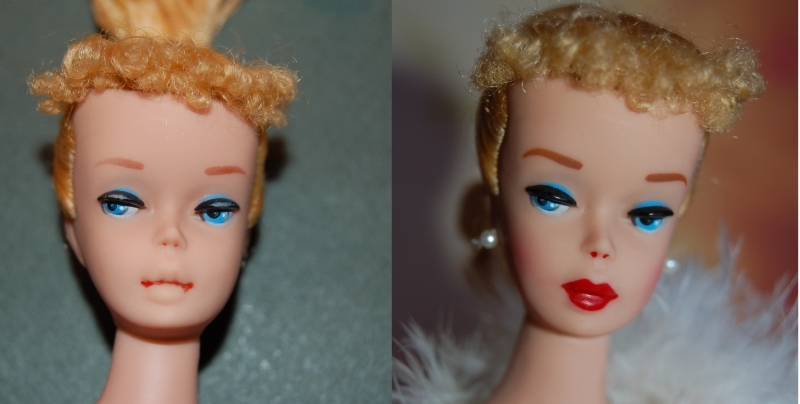 Hi Mardie, I just want to let you know that the doll arrived safe and sound today. OMG---she is just absolutely EXQUISITE!!! 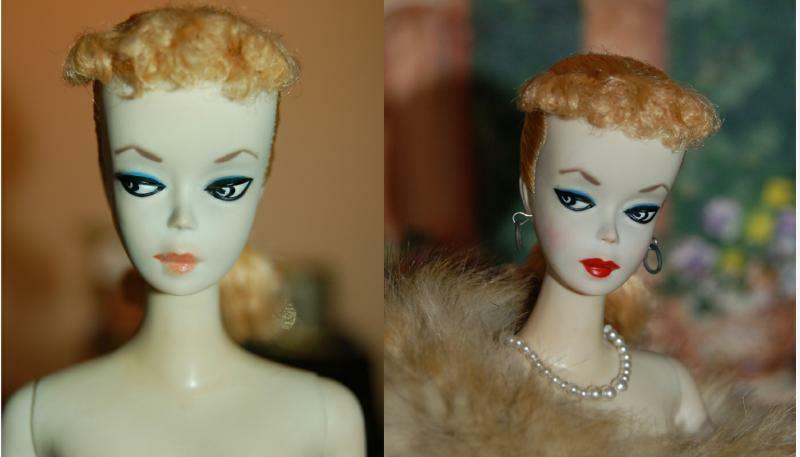 I swear she is probably the PRETTIEST doll I have ever gotten! 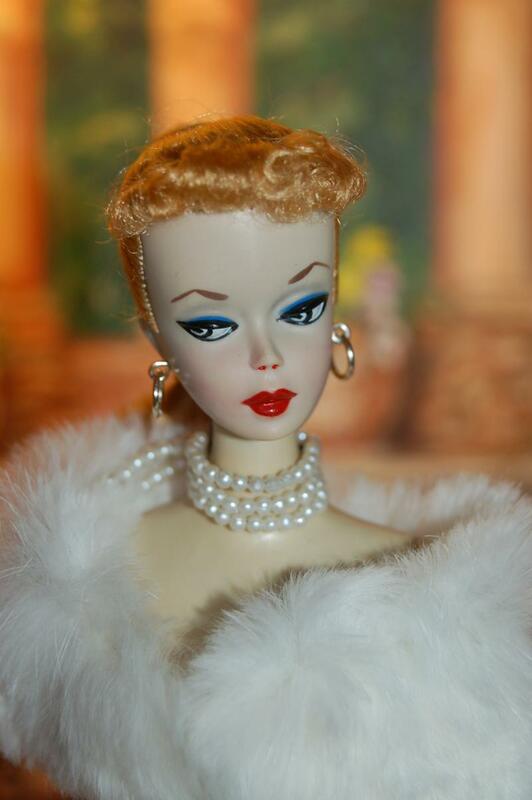 She is intensely beautiful---I have ALOT of dolls, and to be honest, this one is maybe my very favorite ever!!! 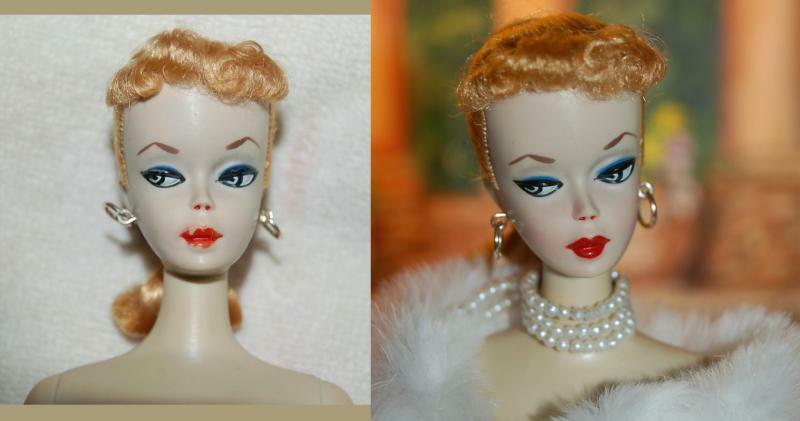 I feel privileged to have her in my collection---I can hardly wait to see the other one! 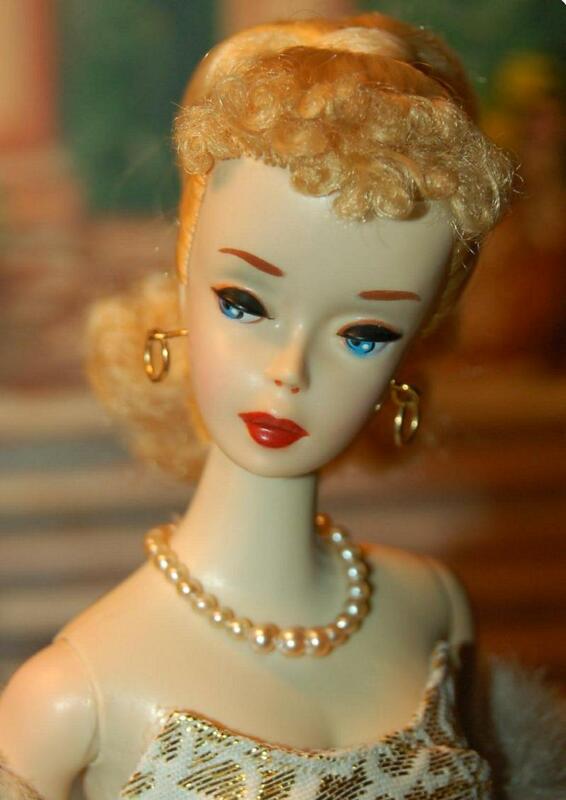 Anyway, I want to thank you again for the auction, the gorgeous doll, the great communication, and the very prompt shipping, all truly appreciated. Thanks for making this a really fun, easy, smooth, flawless, totally pleasant transaction. 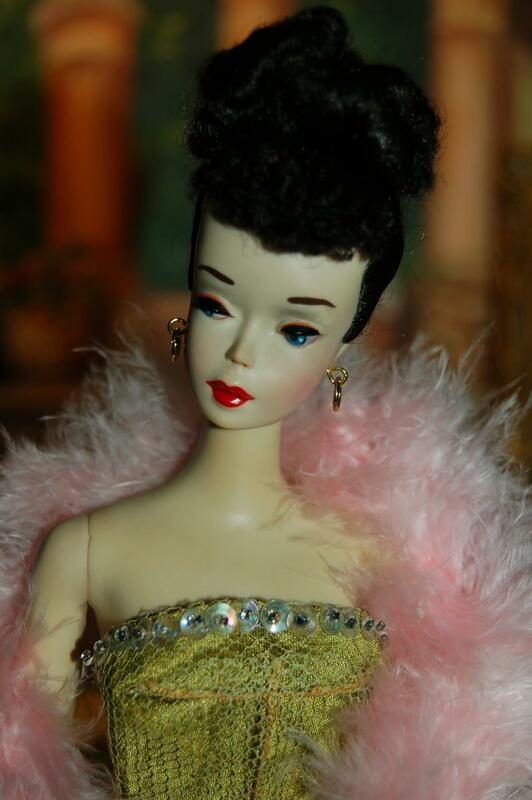 It has been PURE PLEASURE and I want you to know that I just absolutely ADORE this beautiful doll. 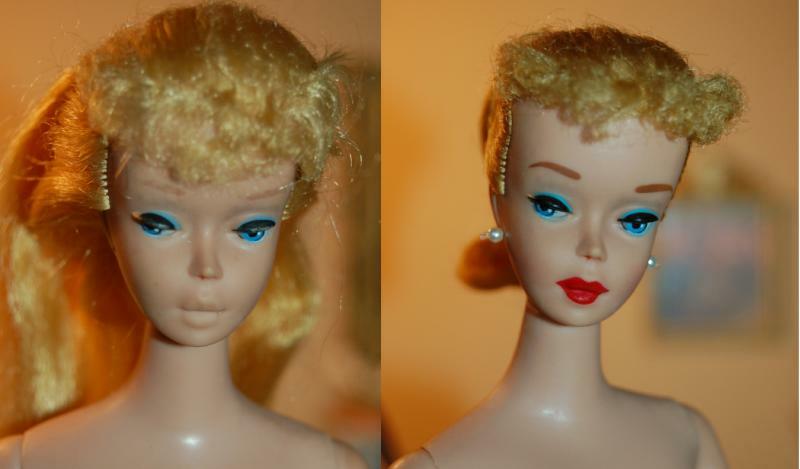 The #4 ponytails are really my very favorite Barbies---they have a gorgeous face unlike any others! Have a great week and can't wait to deal with you again! can't believe how gorgeous the ponytail with the pink lips is in person. 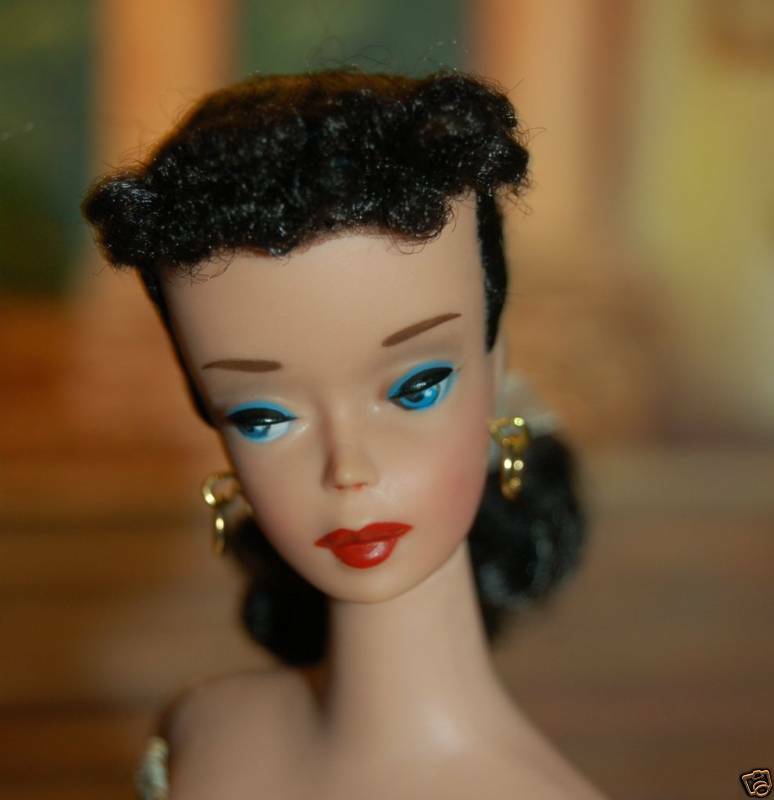 For several years now I have seen Mardie’s miraculous transformations on the older Barbie dolls and marveled at her finished product (actually drooled over them) - but shipping my doll off just kept stopping me…. What if she got lost? 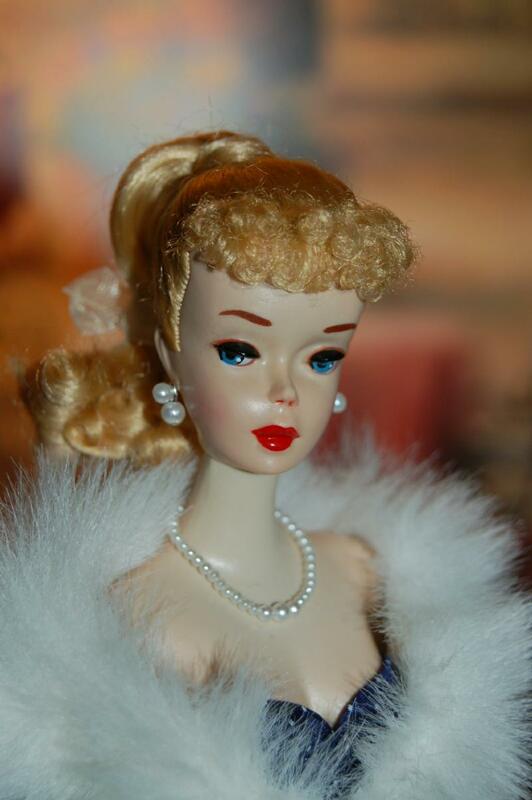 I have had this doll since I was between 2nd & 3rd Grade – I had just had my tonsils removed and begged and pleaded for this doll. Well, this year I took the plunge – my birthday present to myself – sent her to Mardie the first of November and she began working on her very quickly. 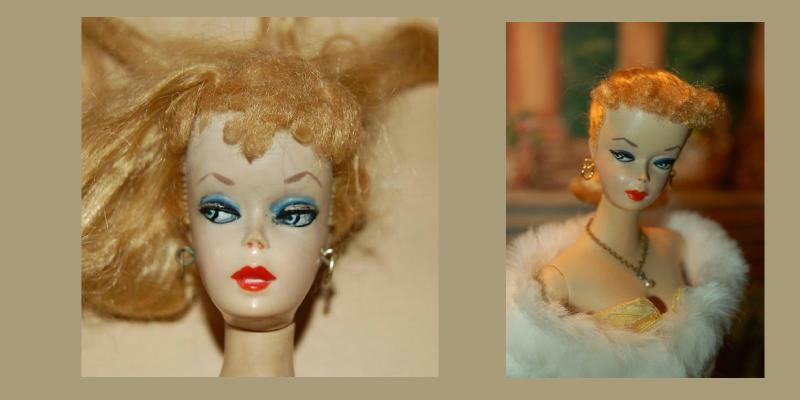 Over the years I had not dared to do much with my doll for fear of her losing more of her paint on her face – her toenails were already bare, and she had lost the polish on most of her fingernails. 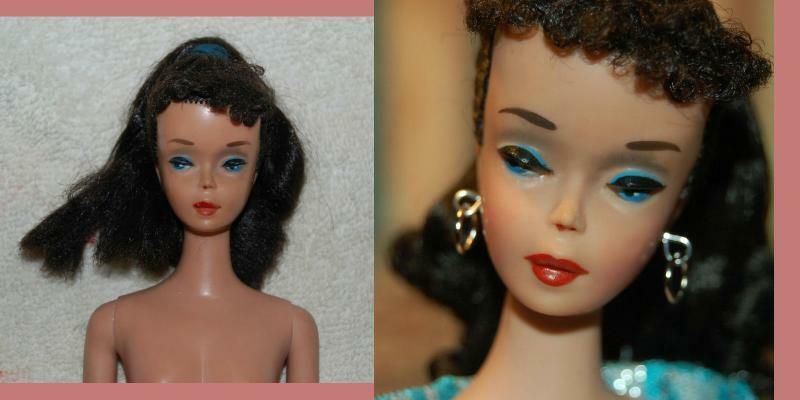 Decades ago I had filled in her eyebrows and eyelashes with an old eyebrow pencil. 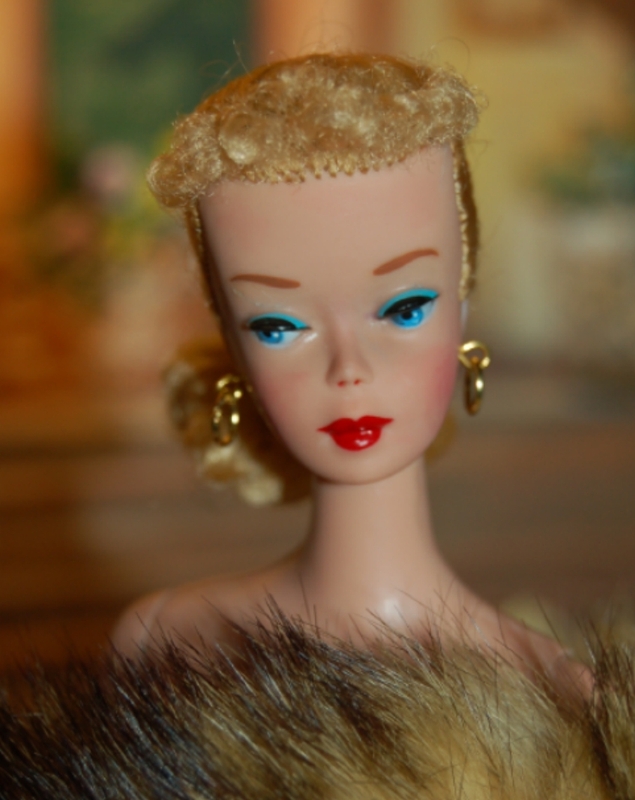 She had been displayed in one of my curio cabinets for years, but on closer examination I could tell she looked really sad. Especially her hair! 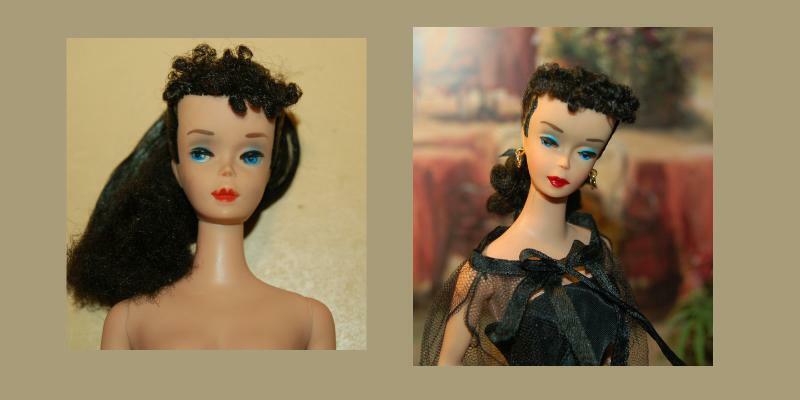 Mardie received her and started working on her right away – giving me updates via E-Mail – when I saw pics of my doll with the eyebrow pencil removed, I was hit with the reality of her lack of paint on her face. 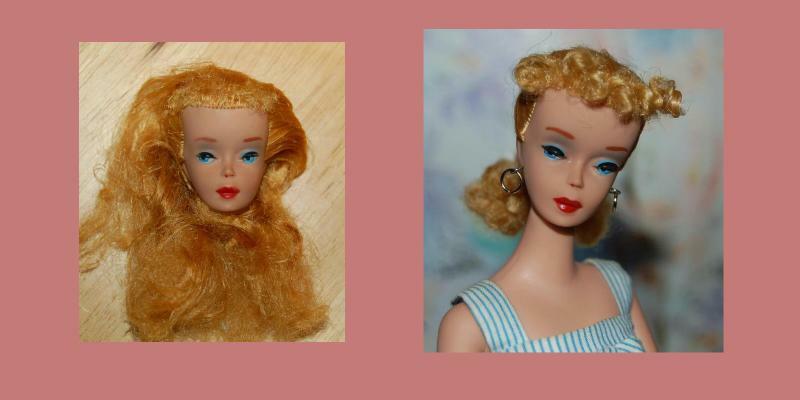 Then I saw Mardie’s pics of my doll with her clean body – her face repainted (her nostrils evened up, her eye makeup & eyebrows back on her), along with now polished nails and toenails – and her hair back in a beautiful pony tail - she is a new doll! I was elated! 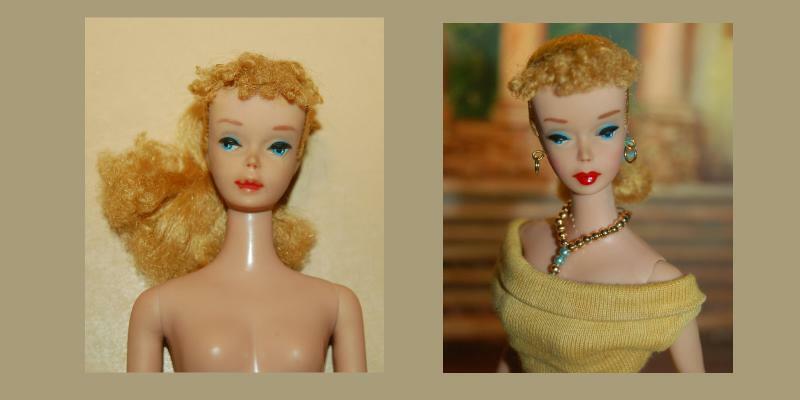 I was thrilled to pick her up from the post office – and see her in person! 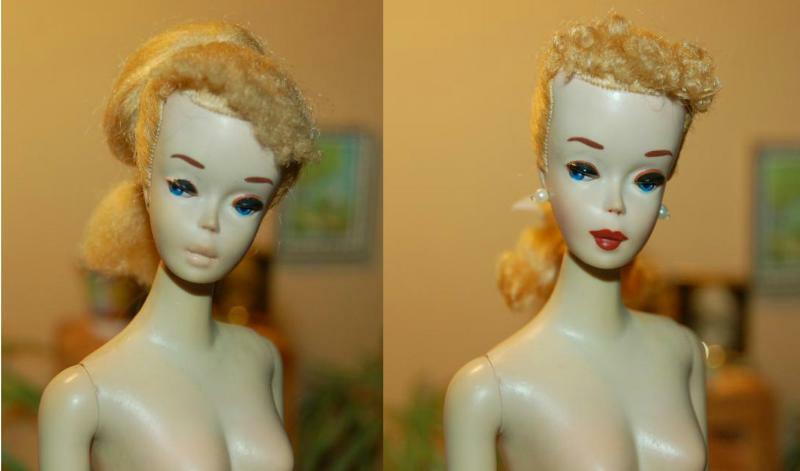 What a wonderful miracle Mardie performed on my doll! Just WOW! 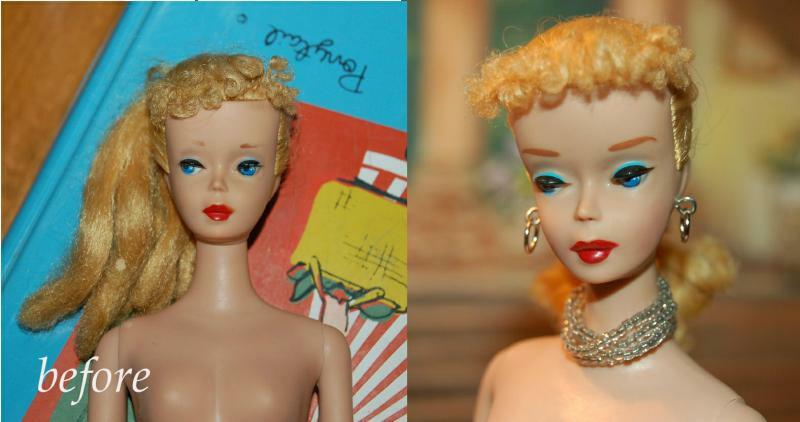 Thank you so much Mardie – she is now gorgeous again! 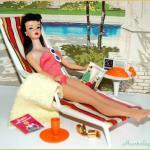 Take the plunge and get your doll updated by Mardie!